NET@XESS is the acronym of the device functions: advanced Modem/Router Engine. It is in fact a 2/3/4G modem/router with advanced firewall and VPN router functionalities. Simplicity of use is one of its main features; much of the functionality is accessible thru the front panel graphical display and a comprehensive HTTP/SNMP interface. 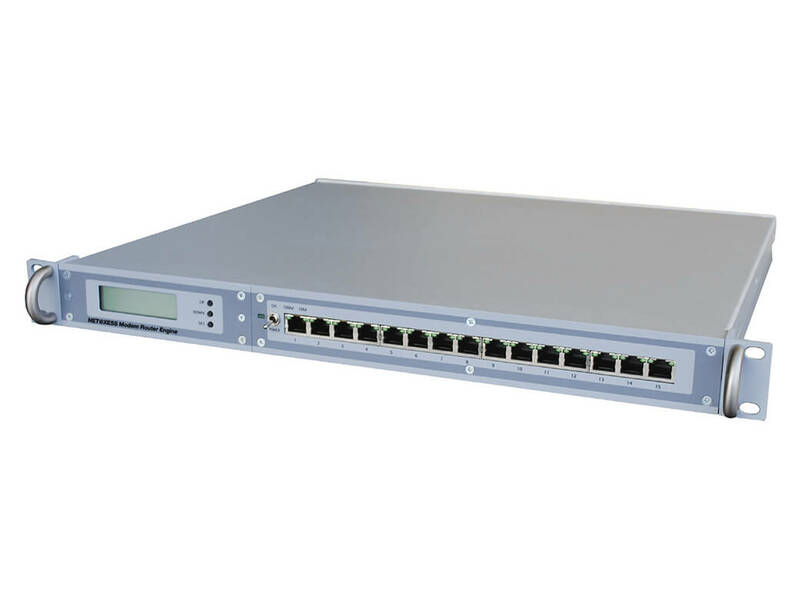 It has been thought to enable remote connectivity to transmitters, encoders, receivers and virtually any equipment present on site connectable thru Ethernet. Think of the advantages: you can access web servers, ftp, SNMP agents, and firmware upgrades of each device tunneling the communication thru a proprietary LAN/WAN or the internet thru a VPN. Connectivity: enables internet connectivity thru many types of media, it can do load balancing, selection of media to be used (example: use 2/3/4G just in case DSL is not present, or vice versa), this means seamless availability of all devices thru IP at ALL TIMES, with total security, thanks to an internal firewall and VPN engine. Automation: An internal scripting engine enables onsite monitoring of parameters thru IP. Using a simple scripting language (the ANTScript) enables the user to create elaborated automations which can report complex situations or correct and take action over situations that can occur on-site. Reliability: NET@XESS is a robust system with a main and a backup power supply. All power failures are backed by the internal battery. If more autonomy is needed an external battery can be installed. The external battery is charged by an internal battery charger which keeps it ready for the next power failure. All power status is reported thru SNMP or WEB. Simplicity: NET@XESS is extremely simple to use and install, thanks to a very accurate manual and a simple web server application, connecting to the internet or your personal VPN can be done in minutes. Personality: Advanced functionalities are possible thanks to the Linux operating system which enables where requested personalization based on customer requests. Both Hardware and software features can be tweaked to your systems needs. No annual fees to be paid for VPN or firewall usage. Internal batteries guarantee 8 hours of work, more autonomy with external batteries. The UMTS modem understands automatically the best connectivity and connects automatically to the best cell. The presence of an in-band filter, enhances immunity to harsh RF environments like the ones in transmission sites, enabling ideal connectivity to 2/3/4G networks. NET@XESS acts as a 2/3/4G backup to an unavailable main connection. When the main connection fails, NET@XESS restores connectivity to the control center thru the 2/3/4G modem. 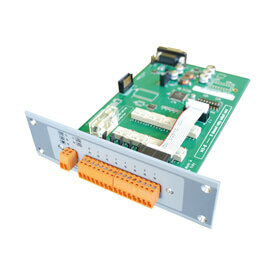 Management of external I/Os thru RS485-RS232. 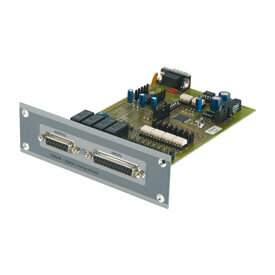 DAM/104 module adds 8 analog or digital inputs plus 4 relay outputs. 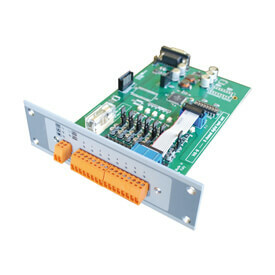 On board bridges allow to switch any input form analog to digital.Each circuit feature an embedded voltage converter to completely optoisolate external connections. All inputs have a common ground, galvanically isolated from the RS485 interface BUS. DGQoS145 module adds 8 relay outputs. Isolation is by default, because the relay switchingcontacts are normally isolated from the coil. The front connector is designed to ease cabling. A 12V 1A, fuse protected, output is available on a separate connector, in case you need to power the inputs switched by the relays. Front LEDs show the status of the board and of any output, plus AUX fuse, hardware problems, board alive, RS485 status both TX and RX. DGQoS148 module adds Nr. 8 optoisolated digital inputs: this means that each digital input can have its own independent ground. The input circuit is designed to accept DC and AC, and the customer can set the input voltage range. A diode bridge frees the user from respecting the input polarity. The front connector is designed to ease cabling. A 12 V 1A, fuse protected, output is available on a separate connector, in case you need to power the inputs. Front LEDs show the status of the board and of any input, plus AUX fuse, hardware problems, board alive, RS485 status both TX and RX.